THE Mayor of London Sadiq Khan has admitted that there is no date that can be given ‘with confidence’ for the opening of the critical central London section of Crossrail. The line between Paddington and Liverpool Street should have opened in December, but a controversy is continuing over who knew that the launch would be delayed, and when they knew it. Former chairman Sir Terry Morgan has already clashed with the Mayor over the sequence of events last year, and the Mayor has now admitted that Crossrail chief executive Mark Wild is not in a position to name a new date yet, although this year has been ruled out. The cost of the project has now risen from £14.5 billion to more than £17 billion. Transport for London has had to borrow money to increase the funds available, but is also incurring growing deficits because it should have been earning revenue from the service since December. The problems concern the software connected with signalling systems. 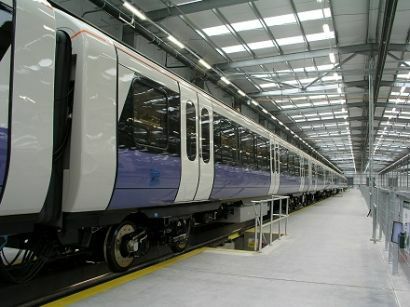 Bombardier is building 630 vehicles in Derby for the Crossrail fleet, and dynamic testing in the London tunnels was able to restart in January. More recently Crossrail deputy chairman Nick Raynsford said the board had decided not to commit to a new timetable to avoid ‘making promises we can’t keep’. When he made a speech to the City of London Corporation’s planning and transport committee annual dinner in mid-February, he added: ‘There can be no hiding from the fact that mistakes have been made and trust has been lost. We need to earn that trust back. The chair of the London Assembly transport committee Caroline Pidgeon commented: ‘Nearly six months have passed since the public were told that the opening of Crossrail would be delayed, yet incredibly we still have no revised opening date. ‘I can understand Crossrail’s reluctance to not make promises they cannot keep, but what we cannot escape from is that as every day passes the cost of Crossrail escalates even further and TfL is deprived of a new fare income stream which it so desperately needed.